Should I buy an electric or petrol lawn mower? 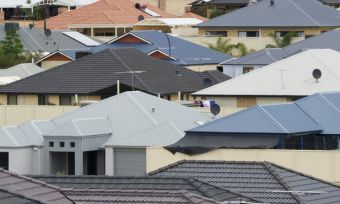 Mowing the lawn on a Sunday is nearly as sacred as going to church itself… just kidding, but while suburban lots have become tighter and houses bigger, mowing is still a necessary chore among many Australians. If your trusty old Victa mower has carked it and you’re looking for a new lawn mower, you have probably debated the pros and cons of an electric mower, versus a petrol one. Canstar Blue breaks down the key differences between the two, as well as what each type is good at, and not so good at. 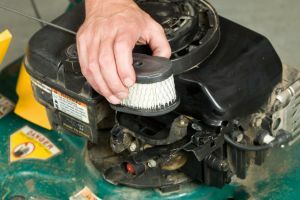 Whether you love the smell of a 2-stroke in the morning – or a 4-stroke – or like the quieter whirr of an electric motor, there are both strengths and weaknesses to both kinds of lawn mower. Below are some metrics to test lawn mowers by, to see which one is king. This is where petrol mowers will win out. With average petrol mowers achieving at least around 7nm of torque these days, average suburban blocks are a child’s playground. Average lawn mower engine sizes are around 150-200cc – bigger than a moped! With these large capacities and big torque figures on offer, petrol lawn mowers are king when it comes to making your lawn mincemeat. Electric lawn mowers, on the other hand, are more suited to small blocks and strips of grass. 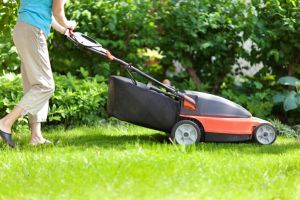 With the way suburban house sizes are increasing, with land sizes decreasing, electric mowers may be suitable for smaller backyards, but those on traditional blocks may struggle with an electric lawn mower. Conversely, any type of push mower is probably going to be a pain if you have a large block – a ride on mower may tackle big yards better! You may love the smell of burning petrol in the morning, but for no emissions and low noise, an electric mower may be the way to go. Firing up a petrol lawn mower on a Sunday morning is a sure fire way to really annoy your neighbours. Aside from just noise and smell, petrol lawn mowers are also prone to polluting similar amounts to cars. While cars have a lot more technology fitted – like catalytic converters – to limit how much they pollute, mowers are still ultimately basic in design. So if you’re getting your kids to do the lawn on a weekend, an electric mower may be the better option as far as pollutants go. Is it corded or cordless? Corded mowers obviously provide endless run time, but you are limited by how far the extension cord goes. While many are over 20m, you may still have to unplug and replug as you go along, and have outdoor power points in your home. Cordless mowers are obviously unbound by cords, but may feature limited run times of an hour or less, making a second battery necessary if tackling anything more than a small lawn. Charging these batteries also takes longer than how long you can run them for. Aside from that, deck size also has a hand in useability. 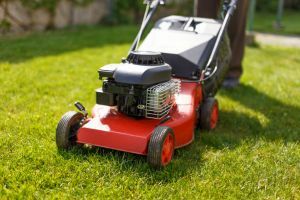 Deck size simply refers to how wide the lawn mower cuts, and electric models are commonly smaller – probably to cater towards their target market of suburban homes. If you live on anything bigger than one quarter acre, a petrol mower with a 50cm+ cutting width may be more suitable. Electric mowers are also generally lighter than petrol ones, for the simple fact they don’t have a mechanical engine on-board. These are all additional maintenance items that are required to keep all the mechanical parts of a petrol lawn mower in tip top condition. With petrol mowers, it pays to look at their manual to see what fuel it requires, but generally they require a minimum of 91 RON, with 98 recommended on some models. Fuel is pretty much always over $1 a litre these days, with 98 costing a lot more; this is evidently an extra cost you’ll have to consider. Despite the shortcomings of an electric mower, their potentially lower running costs may make the compromise worth it. Once again this more comes down to the individual model in question, but electric mowers generally have a cheaper entry price than petrol variants. However, as a general rule, electric mowers are more suited to suburban lawns with their smaller cutting widths and less powerful motors, and as such tend to be a bit cheaper than petrol variants. While both can be had for pretty cheap, the cheapest tend to be electric mowers and brands like Ozito cost less than $300. If you’re looking for a bargain basement petrol mower, ALDI’s ‘Gardenline’ mower does come in at less than $200. However, it’s about more than price, and if you have a larger lawn you may find it worth spending more for a higher-spec model that could get the job done easier, and sooner leave you inside on a Sunday afternoon with your feet up. Should I get an electric or petrol lawn mower? It all comes down to your yard and your preferences. For most modern suburban blocks with a small yard, an electric mower is probably ‘good enough’. Electric mowers benefit from quieter operation and having no emissions. They are also commonly found for cheaper than petrol mowers. However, where petrol mowers win out is their sheer ability to just get the job done. They often feature more powerful motors, with leading torque figures and cutting widths. For those living on older, bigger blocks or semi-rurally, a petrol lawn mower is probably still king. In any case, one isn’t necessarily ‘better’ than the other, but they each have their strengths and weaknesses and suit different needs and lawns.